When I first flicked through Fearne Cottons HAPPY book and journal, I knew instantly that I would be writing about them one day. They were a surprise Christmas gift from my son, he’s very supportive of this blog and my self care journey. Now I love my family, my friends, and my job but my anxiety means I struggle to find complete contentment so I was eager to get started. I have now read through the book three times and have been using the journal for six weeks and I can’t wait to share my thoughts with you. HAPPY by Fearne Cotton is a gentle guide towards happiness. It stresses the importance of being happy and the struggles to get there. It covers all aspects of life and discusses mental health issues in an open and honest way. The book discusses physical and mental health, possible past issues, friends and family, body image and life choices. Each chapter title begins with the word “Happy” followed by a word that represents a part of life. Happy Not, Happy Balance, Happy Face And so on. There is also a handy summary, listing the key points from each chapter. Fearne talks frankly and is brutally honest about her own experiences and her struggles with finding happiness. She also chats to other people, some of whom may be familiar, about their issues with mental health and their quest for happiness. 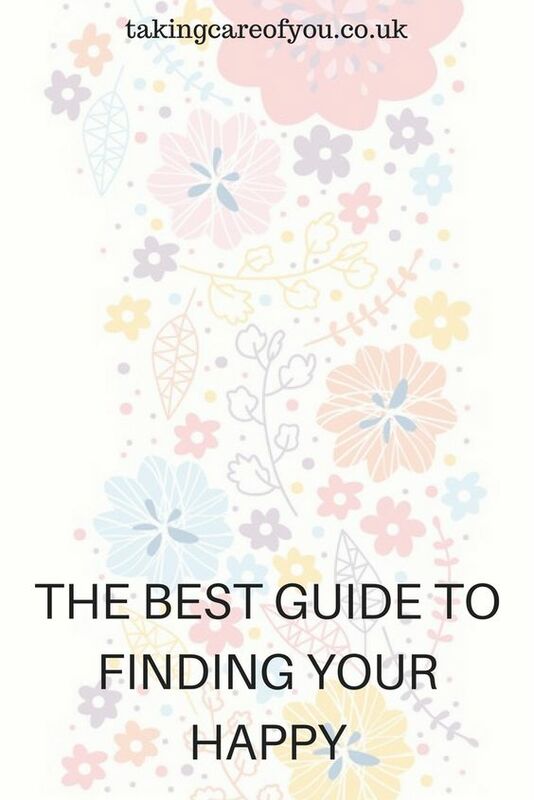 The book offers expert advice and is packed full of tips, ideas and exercises to help on your happiness journey. There are fun and helpful quizzes, tools to gauge your happiness, list prompts, and a digital detox challenge. Happy by Fearne Cotton was a breath of fresh air, I took so much away from it. I found it easy to read and the information was given in digestible pieces so there was no feeling of overwhelm. I loved the fact that this book did not focus on huge life issues like marriage and career. Instead it dealt with the small things in life. All the things that add up to happiness. 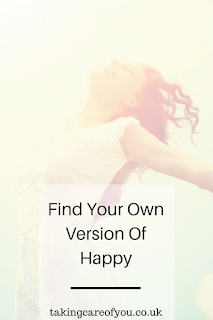 Fearne does not tell you how or what will make you happy but encourages you and gives you the tools to find what happiness is for you. 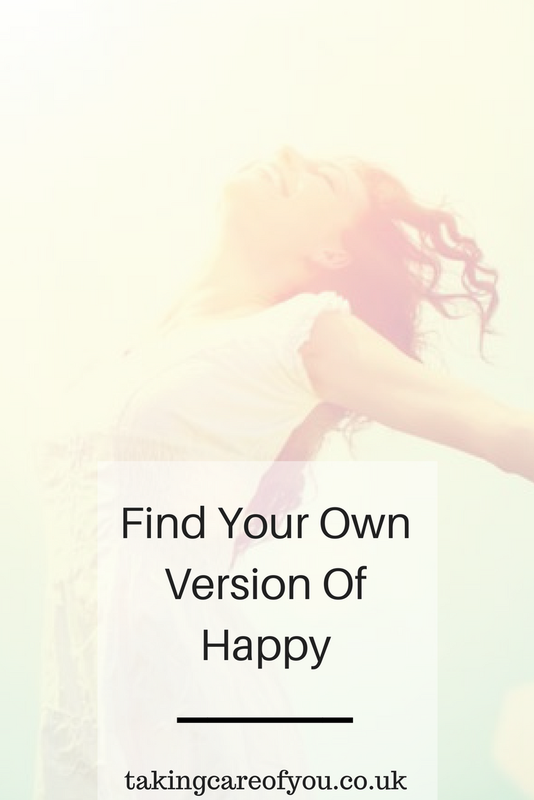 I loved the little exercises that really make you think and adored the happy playlist. If you read this blog regularly you will know that playlists are one of my favourite things. 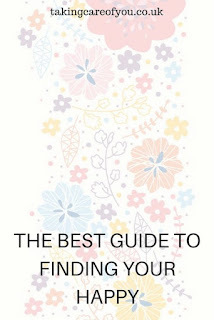 HAPPY is so packed with hints tips and ideas that I recommend reading it through a few times to get the most out of it. Fearne Cottons journal companion really is a joy. Each page is beautifully designed and I can’t wait to pick it up each night. Designed to be made bespoke to you, the journals intention is to provide a place for you to express yourself, gather your thoughts and reflect. Fearne encourages us to think of it as a friend that you can tell all your secrets to. I think that’s part of the appeal for me, I can completely express myself without being judged. Each entry of the journal contains inspiration, pointers and exercises and has a simple chart so you can record your mood. Each month is themed according to the changing seasons and moods. New beginnings for January, love for February and so on. At the end of each month is a space to reflect on all that has happened. I am enjoying using this journal so much. I find it so useful to empty my mind into its pages, it gives me so much clarity. I love the inspirational quotes and it’s gorgeous to look at, the colours used are beautiful. The prompts really make you think and I would encourage you to use as many as you can to get the most out of this journal. One of my favourite things about it is that there is no year written so you could start at any time then just carry on until the book is filled. Overall I would say that Happy by Fearne Cotton is a must for writing and journaling enthusiasts. I got so much out of it and continue to delve into its pages as there are so many practical tips and ideas. Click here to learn more about Fearne Cotton and her books. If you read the book or you are using the journal, let me know what you think in the comments. The book sounds great and I love that you will journal along the way. It will be a wonderful journey.